On our coffee date today, we are once again dealing with cold weather and snow. I know, winter just doesn’t seem to know when to let go this year. We can also have a slice of cake with our hot beverages today because… today is my birthday! It has been a great day for me. I’ve stayed inside out of the snow and watched spring training baseball (oh, how I wish I was in sunny, warm Jupiter, Florida!) and Netflix. An introvert’s dream! We went out (as a family) last night for dinner for my birthday. I had an awesome steak. My kids actually got along for a few hours. We listened to 80s music in the car. I sang. Loud. The kids looked at me like I had three heads but I think they secretly enjoyed it. They gave me a ginormous bag of Cadbury mini-eggs as a gift. Best gift ever. We’ve had a busy few weeks. Our ski trip to Wisconsin was successful and so much fun. My younger daughter tried skiing – I am so proud of her – but ultimately opted to spend her weekend tubing. She had a blast. My older daughter has become quite a skilled skier. She took on the most advanced slope and didn’t fall once. She also met a cute boy on the slopes and spent the ride home messaging him. Teenage parenting, y’all… it’s not for the faint of heart. Since we’ve been home, it has been a blur of girl scout cookie sales, illness, and school snow days. Now that we are officially in March, I’m hoping the weather settles. We’ve had way more snow and freezing rain than we are used to. Catch me up. What would you tell me if we were having coffee? This time was more somber than usual. They did the same things, of course. The flag ceremony. Dutch oven cooking. Archery. But then there were the “lasts.” Last trip to the stables to say goodbye to the horses. Last hike around the lake. Last trip to the outdoor chapel. Last campfire. The girls gathered around the flames and reminisced about past trips. They laughed. And cried a little, too. After the fire died out and cooled, they scooped the ashes into little jars. One last tangible souvenir of this magic place. Their hearts would hold the memories for a lifetime. Written for Friday Fictioneers, which is hosted by the lovely and talented Rochelle Wisoff-Fields. Read the other 100-word nuggets of flash fiction here. Author’s note: So, this isn’t actually fiction. This is about a recent farewell trip to our nearest Girl Scout camp which was just closed and sold. I went there as a 12 year-old back in the 80s, my first week-long sleep-away camping trip. I’ve been taking my two girls’ troops there twice a year for years. My older troop has been there so many times and actually bridged to senior scouts there in that gorgeous outdoor chapel. That place holds so many memories. I’ve watched the girls grow and try new things there. They’ve gained confidence. They have bonded. Getting children into nature and getting them away from screens is so vital. And they thrive in that environment. The sale of the camp has been a months-long battle between us troop leaders and our council board. But in the end, it was all about money and not about our girls. I hate it and I’ve shed many tears over it… but in the end, we will move on and find new experiences for our girls. They deserve that. 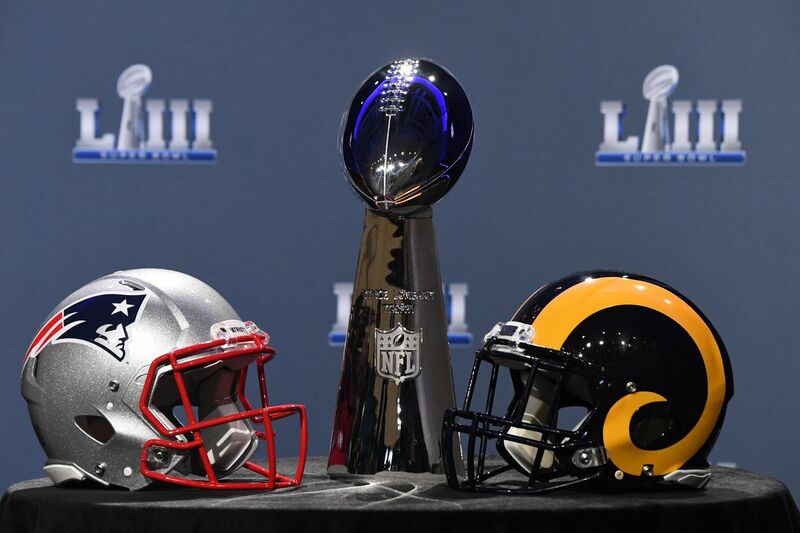 Super Bowl LIII is only a few hours away. Ever since the Rams won the NFC championship, the topic of the Super Bowl has been a complicated one for some fans in the St. Louis area. When the Rams went from St. Louis to Los Angeles a couple of years ago, St. Louis was left without an NFL team. The parting was contentious, mostly because of the despicable team owner, Stan Kroenke. A vile human being, Kroenke has become the ultimate villain here in the Lou. He treated us like crap even though we supported the Rams financially and emotionally for years (even in those years when the team stunk). While the players all had wonderful things to say about St. Louis and the fans, Kroenke basically gave us the finger as he skipped on over to sunnier, richer Los Angeles. Kroenke is the worst of the worst. Some football fans in St. Louis still root for the Rams. They were here for a long time and after all, the move wasn’t the players’ fault. Other football fans root for whomever plays the Rams, citing their intense hatred for Kroenke (and not wanting him to get a drop of glory or a cent of their money from merch, etc.). Enter the New England Patriots. They aren’t loved in St. Louis either due to Super Bowl XXXVI when the Pats beat the Rams by cheating (allegedly). And well, Tom Brady isn’t exactly America’s Sweetheart. What is the lesser of two evils? I like Jared Goff over Brady and overall would rather see the Rams win than the Patriots. However, it will hurt my heart to see Kroenke celebrating if that happens. Are you watching today? Who are you rooting for? If we were having coffee on a lazy Sunday… I’d be a day late. I know, it is Monday. I thought I would jump in for a quick cup, though. This past weekend was snow-free (well, just a few light flurries), thank goodness. The two previous weekends saw accumulating snow, of which I am not a fan. We are supposed to get this Polar Vortex (or some such nonsense) this week, plunging us into the subzero temps… and that is all anyone is talking about. We finally got our Christmas tree down this past weekend! I’ve been meaning to get around to it for a while but then I would procrastinate because it is a lot of work. And it was work getting the big bulbs replaced with plastic fillers, unplugging the sections, taking the sections apart, and cramming all sections back into the box. How come nothing ever goes back into the box they way it came out?? Anyway, it is done. And the furniture is back in place. Holidays are officially over. I finally finished the first season of You on Netflix. *Shudder* So creepy. I fantasized all weekend about buying a new house. See, there’s this house in my town that I really love. We actually looked at it when we were house-hunting seven years ago but bought our current house instead. Current house needs some work, and husband and I are in the process of looking at equity loans to do some remodeling. Well, dream home recently went up for sale again. And dream home is SO NICE, totally updated and modern and wonderful. Why not just buy it since it is move-in ready? Why bother hassling with loans and remodels? My husband talked me down from fantasy land, of course. Moving is really not in our best interest right now. But it is nice to dream. My daughter is eligible for her driver’s permit in one month. Yikes. I really need to get to the DMV to get her a study book so she can pass the exam. Except getting to the DMV with my schedule is nearly impossible. Maybe I should send husband. Or maybe the book is online. Even better because if she can’t view it on her phone she probably won’t look at it. I’m kidding. Sort of. Drop in and have a cup with the other Weekly Coffee Share participants here. And many thanks to Eclectic Alli for hosting. If we were having coffee I would invite you in quickly, to get you out of the cold. Snow and blustery winds have made this a good weekend to stay in with a warm beverage. This snow storm was a bit unexpected, it was supposed to track further north and spare us. Instead we got about 6 inches of snow and way more sleet and ice than I am comfortable with. My kids are loving it. I am staying inside where it is warm and I have everything I need (phone, laptop, netflix, treadmill). If we were having coffee we would have much to talk about. It has been awhile since we’ve seen each other! I’ve not been keeping up with my coffee dates, so sorry. We would chat about work and the kids. It is funny how so much time can pass but the conversations feel the same. If we were having coffee I would tell you how I am so thankful for this 3 day weekend. There is no work tomorrow because of MLK Jr. day. It is such a relief that I have an extra day to relax. And to give the crews time to make the roads safe to travel. The peace of mind I have knowing I do not have to drive tomorrow is huge. If we were having coffee I would also tell you that my favorite season is upon us… cadbury mini egg season! They are in the stores! Our stores still have the disappointing tiny bags but I know the big bags are coming soon. Cadbury came out with these new shimmer eggs. Pretty, but they taste exactly the same (which is awesome, of course). Dear Cadbury people, work on having mini eggs on the shelf year-round rather than introducing these new gimmicks. Until our next coffee date, I leave you with a picture of my younger daughter whole-heartedly enjoying her snow day. She is going to kill it on the slopes next month. Weekend coffee share is hosted by Alli over at Eclectic Alli. Join in and have some coffee with the other participants here. It was near. They could hear it sidling, tentacles rustling along the ground. It suddenly came into view as it let out a low, otherwordly, groan. “Fire!” They shot at the creature but it shrieked and raised up, doubling in size. Bobby closed his eyes and lobbed the bomb at the beast. Mother came running at the sound of shattering glass. “My door!” She glared at the three sheepish boys. They would rather take their chances with the alien. Written for Friday Fictioneers. Thanks to our lovely host, Rochelle Wisoff-Fields. Check out the other 100-word nuggets of fiction here. In the quiet, empty house, Michael read the notes with growing dread. He had never appreciated the jar exercise. Just another silly thing the marriage therapist suggested. Jill had faithfully poured her heart out on the colorful scraps of paper and stuffed the jar full. Michael never understood it and he never read them. The notes in the bottom of the jar were lengthy and hopeful, conveying wishes and needs and things Michael didn’t know. The notes scattered on the table were curt and agitated, obviously more recent. The last paper he read said it all: DONE. GOODBYE. Written for Friday Fictioneers, thanks to our lovely host Rochelle Wisoff-Fields. See the other 100-word stories here. It’s been a doozy of a work day, folks. For the Just Jot It January challenge. Today’s prompt, Memento, comes from Tara at Daisy Smiley Face. My day will come, I know it. touch me with great care. but there were also tears. Can’t have one without the other, it seems. She will come back to me. to get lost in the memories that I hold.